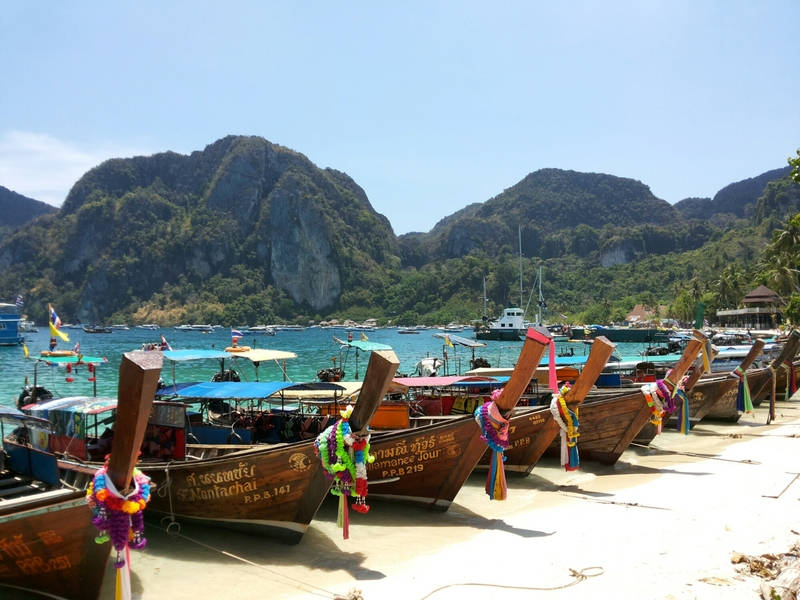 Wooden boat at Phi-Phi Don – Thailand, called longtail. 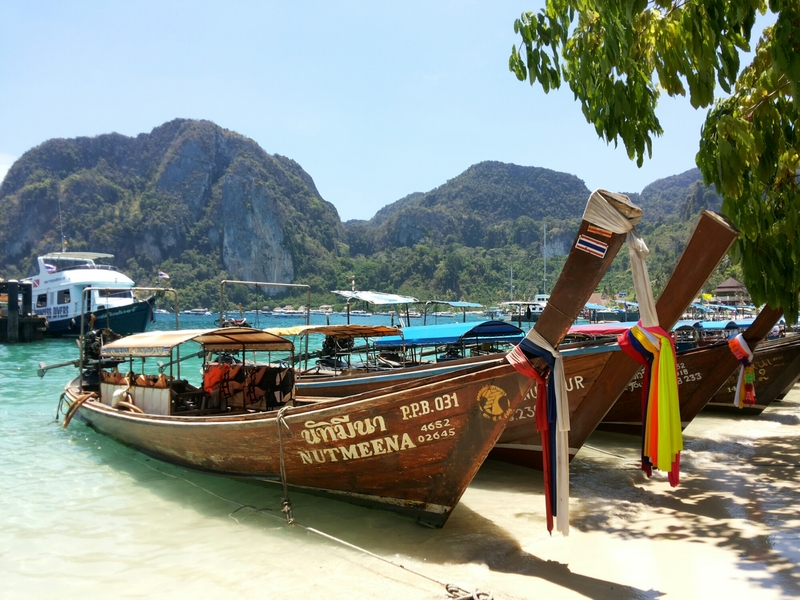 We can rent this longtail with 2.000 Thailand Bath (67 USD), if we want to island hopping, snorkeling, or diving around Phi-Phi Island. Yea… the island is so beautiful with that blue water. And the brown give the value added, am I right?